Over the last year, a number of major storms have swept across the United States. Particularly in the south and on the east coast, both cities and rural areas have been hit hard by tremendously powerful storms. While downed power lines and damage to infrastructure can be problematic, the flooding that accompanies hurricanes and other storms can wreak havoc on automobile owners. We often think of hurricanes as comprised of strong winds and rain, and that’s true. But, the amount of rain that accompanies a hurricane can come on quite suddenly. Without adequate time for drainage, that rain can pile up and cause severe flooding. This flooding can damage automobiles in the storm’s vicinity, resulting in scores of water damaged cars. 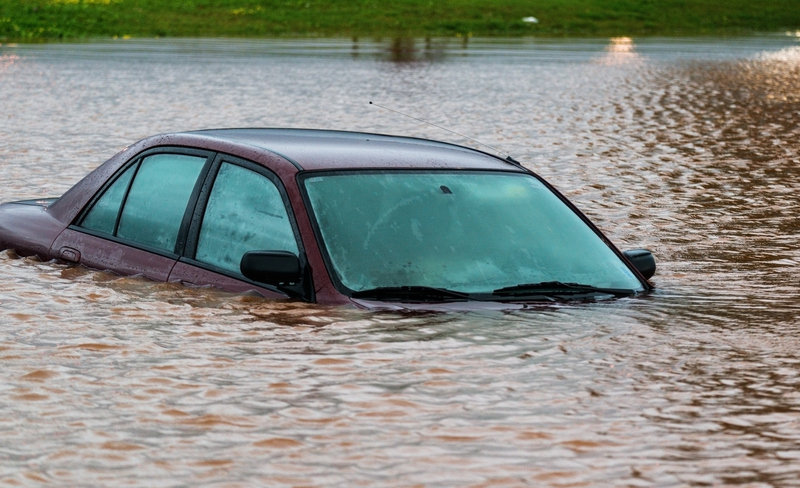 If your car has suffered water damage, you may be wondering what to do next. What does the damage mean for you? Is it salvageable? Is it officially a junk car? If so, should you sell your junk car and move on? We’ve put together this blog to answer all of these questions. Keep reading to find out more. During a storm, it can be difficult to assess just how intensely your property may or may not have been impacted. If your car was submerged in water, it likely suffered a significant amount of damage. Flood water along the coast often carries salt with it. This means that it doesn’t just short out your electrical systems -- it can also rust your car’s engine and other component parts. If the interior mechanisms of your vehicle were submerged for an extended period of time in flood water, they may need to be cleaned in order to ensure the longevity of your vehicle. Cleaning these parts can be extremely complicated, however: they may need to be individually disassembled in order to adequately remove corrosive salts. If your vehicle suffered extensive damage and had a relatively low value before the storm, it may be best to simply sell it to a local junk yard and look for a new vehicle instead. Before making that decision, you’ll want to scope out the level of damage to your vehicle. Take all necessary precautions, and don’t proceed without the help of an expert. The battery should be disconnected to prevent possible electrocution, and this is a dangerous task to approach on your own without proper training. That said, you’ll need to assess how high the water line is in your vehicle to determine its value. If some of the engine parts weren’t submerged in water, they may still be worth a significant amount of cash. Don’t forget to remove all of your personal items from your vehicle, too: some of them may still be functional in spite of the flooding. If you have a junk car that was damaged from flood water, you can still get a decent amount of cash for it in most cases. Rusty’s Auto Salvage pays top dollar for vehicles that have suffered flood damage. To find out how much your junk car is worth, visit our website.